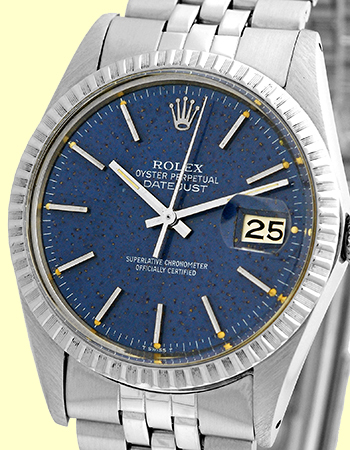 Vintage Gent's Stainless Steel Rolex "Datejust". 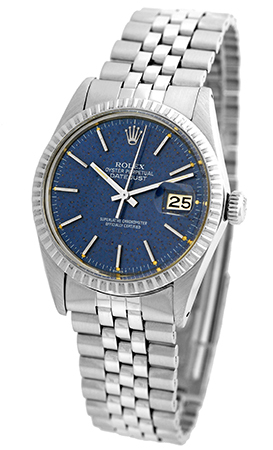 Patina Blue Dial with Silver Baton Hour Markers, Sweep Second Hand, Date Indicator. Stainless Steel Engine Turned Bezel and Acrylic Crystal. 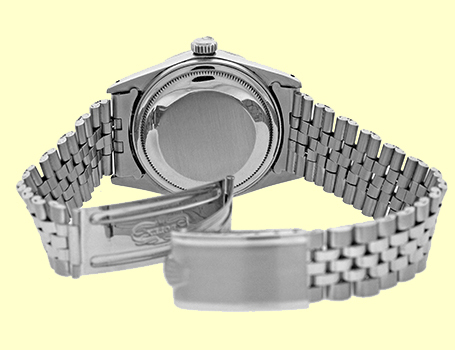 Matching Stainless Steel Rolex "Jubilee" Bracelet. 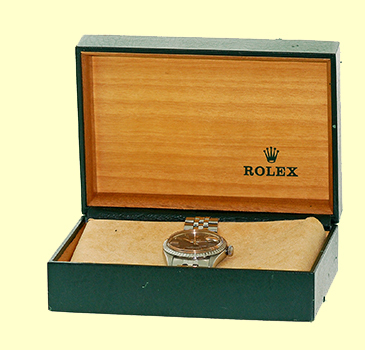 Vintage Original Condition with Rolex Box, Booklet, Hang Tag and complete with Capetown's 1-Year Vintage Watch Warranty! !